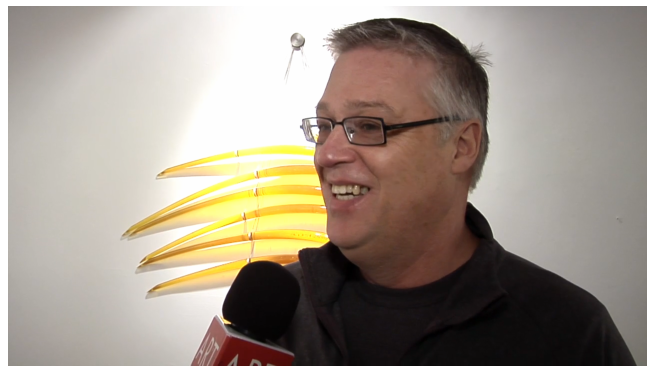 John Paul Robinson has recently been interviewed by ArtSync about the exhibition "New Work" which will be on exhibit here at KWTcontemporary from March 5 - 26, 2011. You can watch the interview in which Robinson speaks about the themes in his work: time, space, nature, science and personal mythologies, here. Born in 1954 in Toronto, Ontario, John grew up in cottage country 2 hours north of the city. He was first introduced to glass while studying Child Care at Georgian College, Barrie, Ontario. In 1980, after working with children and then alcoholics for 6 years, he built his first glass studio with a friend, who had studied glass at Georgian. In 1982 he was hired by the Ontario College of Art, Toronto, where he worked as a glass studio technician and instructor until 1998. His work has been exhibited internationally, and is represented in public collections such as the Canadian Museum of Civilization and the Museum of American Glass. John is presently living, working and teaching in Montreal.